Best Way To Visualize Next Generation Sequencing Tumor Evolution In A Graphic? Question: Best Way To Visualize Next Generation Sequencing Tumor Evolution In A Graphic? I have a good deal of NGS data with Normal, tumor, and Relapse samples. I would like a way of graphically depicting evolution regarding different mutations and genetic events. I have data on point mutants, CNV, and fusions but no good way to represent it as an evolving tumor. 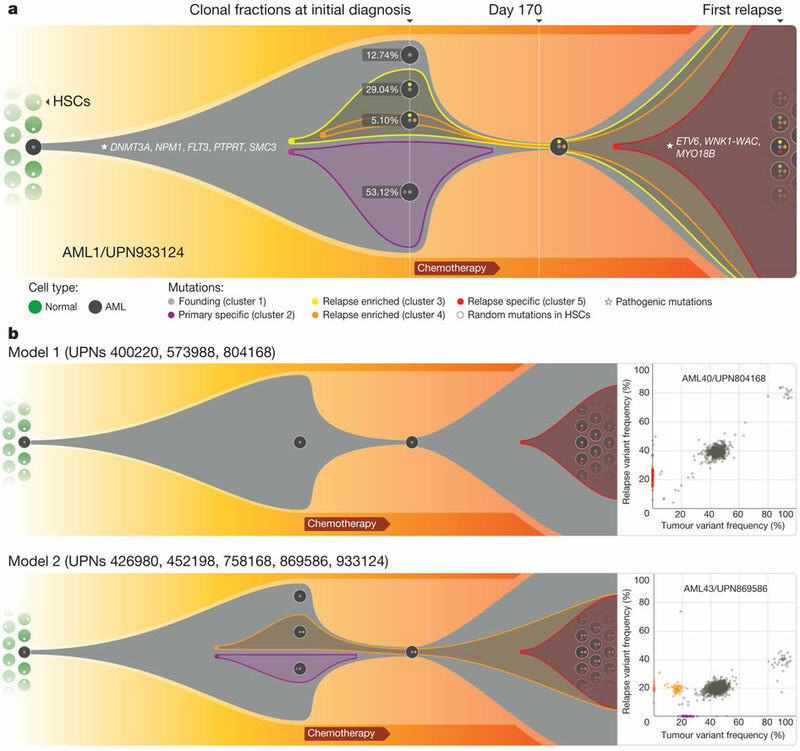 Does anyone know of a figure, program, or style of graphic that would be great in vizually showing important genetic changes in tumor evolution across many samples? Any help greatly appreciated. Do you know with which Software they did this figure ? How To Identify Copy Number From 454 Targeted Sequencing Data? Genetic Distribution Of Snp Along Chromosomes - How To Get A Graphical Output?